Are you interested in outsourcing your current call center or adding call center capabilities to your business? Depending on the physical space you have available and the resources you have to train call center agents, outsourcing your call center may make a lot of sense in both spatial and financial contexts. If inbound customer care outsourcing is the right move for your organization, your choice of third-party providers will be critical to your success. Not all call response centers are created equally. It’s vital for you to pick an inbound telemarketing company that offers the services you need and has a proven track record of success. At Phone Ware Call Centers we provide a full suite of call center services and we’ve conducted successful, highly effective inbound call center campaigns for businesses across a variety of industries for more than 44 years. Data analysis, goal-setting and managing our call center agents to achieve and exceed the goals we set are just a few of the services we provide. While fielding calls from interested parties is our primary service, we know successful campaigns require much, much more. Our call center agents don’t just answer the phone — they actively engage callers so our agents become loyal advocates of your brand. Our highly trained agents know how to ask questions and create opportunities for cross-selling and upselling naturally. Like us, our call center representatives understand the importance of cultivating relationships with callers, and they do this effectively to continue the selling process in the short and long term. In addition to hiring and managing an ambitious team of agents, we prepare inbound scripts, provide consulting services and strive to grow our skill set each and every day. Instead of asking what our inbound call center services are, you may be better served by asking what we don’t do. Our team is 100 percent focused on driving sales every day. No matter how lofty a campaign’s sales goal might be, we strive to achieve it. Our culture is built on performance and closing sales, and we’re never satisfied with what other companies might consider good enough. We’re here to ensure a customer-focused approach that will make raving fans of your prospective and current clients. 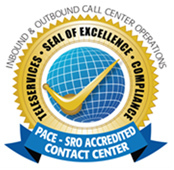 Our demonstrated commitment to success is why so many companies turn to us for call center services. Knowing experts with a lengthy history in the field are acting as their inbound call center gives our clients peace of mind and the assurance that their goals are being met. Why Phone Ware Call Centers? One of the most telling reasons businesses rely on Phone Ware Call Centers for their call center needs is that we’re not satisfied with the sale we just closed. Instead of celebrating our success, we eagerly move on to the next caller to continuously drive sales for our valued clients. Another reason so many organizations use our inbound call center services is that they know everything we do on their behalf is in compliance with federal and state call center regulations (Including TCPA and TSR regulations). 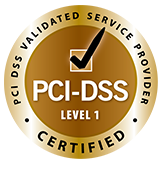 Importantly, we are PCI Level 1 compliant for credit card payment processing and we are also PACE/SRO certified (the industry’s top accreditation for Best Practices compliance). We don’t take any chances and we don’t put the reputation of our clients at risk in anything we do. 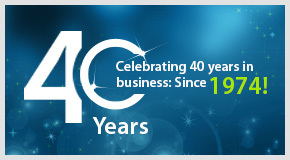 To learn more about why companies rely on us for their call center needs, contact Phone Ware Inc today.